We offer Luxury Coach Hire and Chauffeur Drive Hire for Business and Private use. Creative Travel Connections (CTC) are one of Scotland’s leading transport providers for Edinburgh Coach hire, Minibus hire, Edinburgh Chauffeur Drive, Scottish coach hire tours, corporate travel and for all types of events in Edinburgh and Scotland. 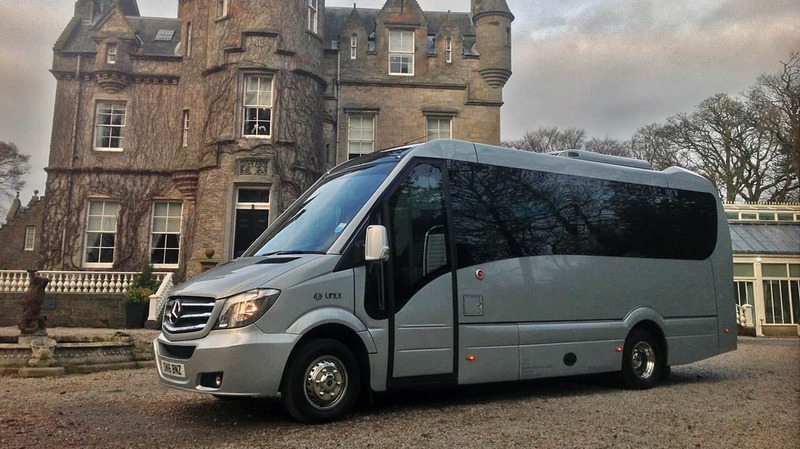 This Edinburgh coach hire company has over 30 years chauffeur drive and coach hire experience working in partnership with worldwide Travel Agents, Event Organisers and Corporate Clients. We have been offering them a valuable one stop shop solution, providing coach hire in Edinburgh and chauffeur driven car hire when bringing clients to Edinburgh, Scotland. We have vast experience in providing professional luxury chauffeur drive services for Edinburgh and coach hire in Edinburgh, Glasgow and throughout Scotland. Edinburgh Airport Transfers with personal meet & greet service, Business Road Shows and Special Events are just a few of the services we provide. We pride ourselves on our attention to detail and efficiency. "Excellence is Standard"". Creative Travel Connections can provide you with any variation of Edinburgh and Scottish special interest or sightseeing tour. With all the breathtaking scenery Edinburgh and Scotland has to offer as well as golf, whisky distilleries and Castles - we are well placed to offer you a memorable trip. Luxury chauffeur hire and coach hire vehicles at your disposal. Our stylish fleet of luxury vehicles include Saloon cars, People Carriers and Coaches and are suitable for all your travel requirements. 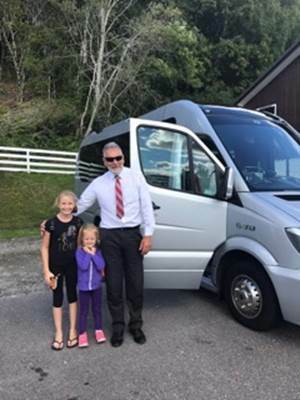 All our chauffeurs and coach hire drivers are fully vetted and selected for their experience and proven ability in the chauffeur service industry. Continuous company training ensures that our chauffeur drivers provide the highest standard of chauffeur service. You will find all our chauffeur drivers friendly, knowledgeable and courteous. Please contact our Edinburgh office with your travel itinerary. If you need a chauffeur hire service or coach hire service for Edinburgh and Scotland then we will be delighted to provide quotes and any itinerary advice you may require. We were so happy with the whole service that I wanted to write a feedback to you the day after I landed back to Turkey. We had had an excellent time in Scotland because of your service. We first started as 7 pax with Juan and then continued as 3 with Bob as you know. It was a fantastic tour. By the time we arrived back to Edinburg we had more information about Scotland than our friends who have been living in Edinburg for about 10 months by now. Being with Bob in a smaller car was also great so we had a chance to ask all the questions and get the most detailed answers we could think of. He showed us every place he can on the way. Planed our day and offered choices for restaurants. It was great service . We will surely be back to your lovely country and will surely be using CTC again and recommending it to our friends. Morning Cecile!! I wanted to say the drivers Sheila and Gary were EXCELLENT!!! Best drivers ever!!! Thank you so much! The group went perfect and the clients are leaving very happy! Hi Mary, I just had to write to say what an absolutely fantastic day we had on the 31 July 2017 on our tour. Stephen our driver could not have been more informative or kinder. We felt like he was part of our group, rather than our driver. It was great to be chauffeured around such lovely sights and sit back and just enjoy. Our American friends did not stop talking about how incredible the day was and how Stephen went the extra mile at all times. Cannot wait to book again at a later date. Thank you for our wonderful experience which we all will never forget. Hi Cécile, I just wanted to thank you for the organisation of the transfers for our group last week everything was perfect ! Please also thank Juan all the transfers ran smoothly thanks to him. Can we help with your transport needs? Have a question? Call us at 00 44 (0)131 333 3111 or fill in your details below on the contact form. . PLEASE NOTE: We will never share your email address with any 3rd parties. © 2019 Creative Travel Connections. All Rights Reserved.